2015-12-27 Our F pups are here!!!! Five black devils - 1 boy and 4 girls :-) All long tailed, with a few little white marks here and there. All of them are reserved. 2015-12-01 Safi celebrates 11th birthday! Happy birthday my supercrazy ash star! Have FUN, FUN, FUN!!! 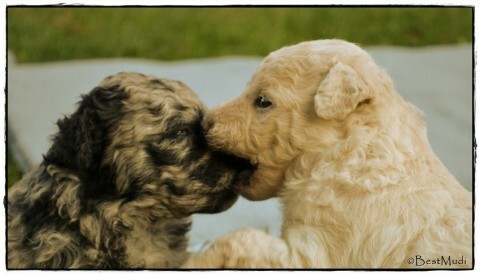 Thanks Jana for video - and the most - thanks for your wonderfull job with Credo and Cockie! 2015-11-19 Fantastic Fairy tale is coming this Christmas! "F" litter should be born around 25.12.2015 !!! So from now you can reserve your little dream ;-) Write us! 2015-11-17 Maaya passed another NoseWork exams! This time NW-Uz (Urban) and NW-Wz (Water), so she finished all basic NW exams and now we´ve started to prepare for level 1! Pictures from NW camp by Nikol here, Monika here. So happy with our team mates! Nikol&Ami did the same great job! 2015-11-01 Our "D" litter celebrates 6 years today! 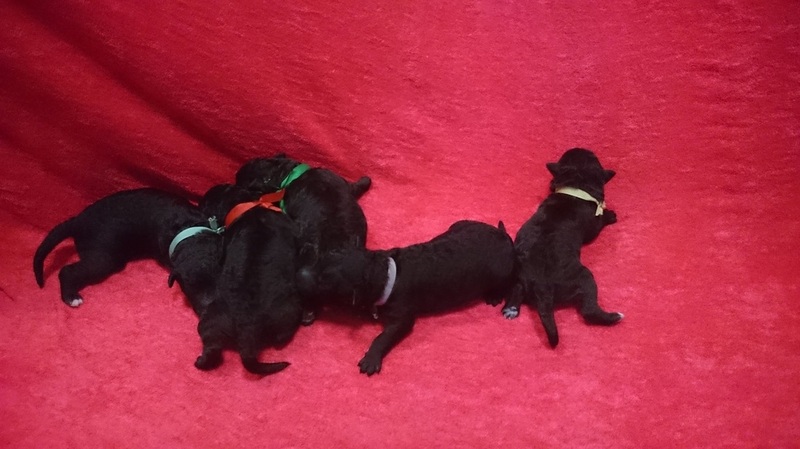 All the best to our most colourful litter - to Dess, Dió, Dorka, Darko Resu, Dru and Dyk! Very nice day with a lot of different excercises and tips how to improve jumping skills. Thank you all for coming! 2015-10-23 Maaya in the movie! Great results of our ABS small dogs - Aboo, Mia and Forty!!! 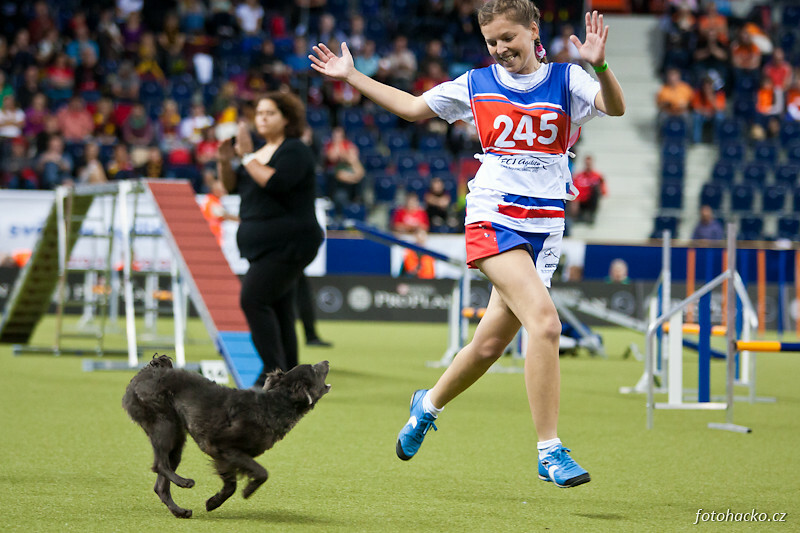 2015-10-11 Czech team medium won Agility World Championship in Bologna (IT)! Safi got 7th place in individual competition - being 4th after jumping run! Yes, she really is the BestMudi ever, almost 11 years old and still running so fast and smiling :-) Big THANKS to our gold team mates Martina&Kiki, Petra&Lara and Katka&Jackie! Agility & tricks training with a lot of fun! What, how and why we train our dogs (and a cat ;-) ). More in Agility&Clicker training section. We are a small FCI kennel breeding hungarian herding breed MUDI. We focus on non-inbred healthy lines with good working drive. With our own dogs we do a lot of training and exercises. More about our females and males in About us section.